1.Make yourself more visible at night with our Multi-Color LED Patrol Wand. 2.This 10inch light up multi-color wand is an important item to have if you're heading out for a nighttime run, working as a community safety advocate, or just need a powerful safety device. 3.Our color changing patrol wand features high-intensity LEDs in green, red, and blue that can be set to one of several light modes, including flashing, color changing, and constant on. 4.Choose the one that you think will get you noticed in the dark and know that your light up multi-color wand is keeping you safe when you need it most. 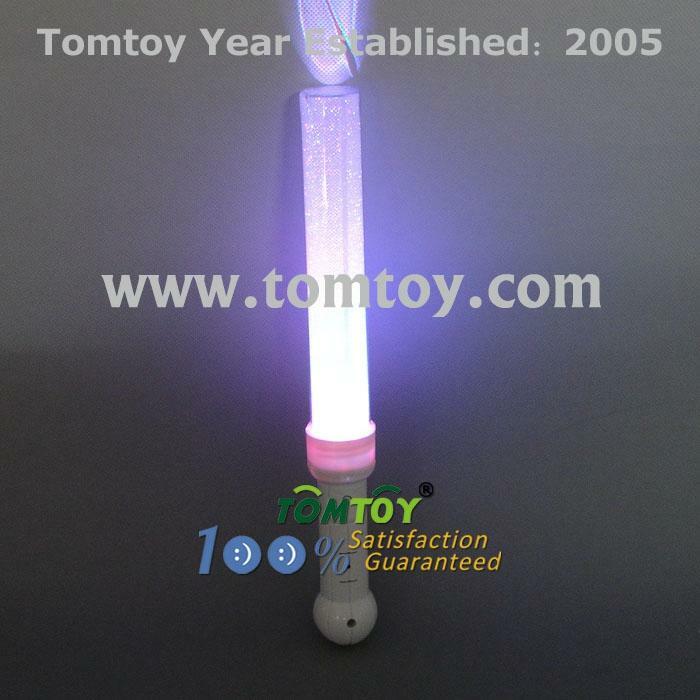 5.Our color changing patrol wand comes with 3pcs AG13 batteries included and installed. A must have for bikers, campers, hikers, runners, and boaters, this light up multi-color wand will light up the night when you need it most.